Civil Air Patrol's Robert Erhlich Jr had some tricks up his employees sleeves. While our personal experience doesn’t quite top Civil Air Patrol’s experience with Steve Stockman, we would like to add our former [Maryland] governor and US congressman Robert L. Ehrlich Jr. “Bob” was inducted into Civil Air Patrol’s Congressional Squadron at our Aberdeen Proving Ground National Guard facility in 1995 by our [then] Wing commander CAP Col. Gene Przybylowicz. He was even given an O-flight by Chick Goetz. 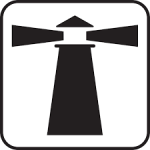 You won’t have to rely on anyone’s memory of this, see here [link redacted]. Civil Air Patrol inducts Robert Ehrlich Jr.
Why are we telling you this? What did Ehrlich do to draw our attention and concern regarding the example he might be setting for our cadets and future leaders? 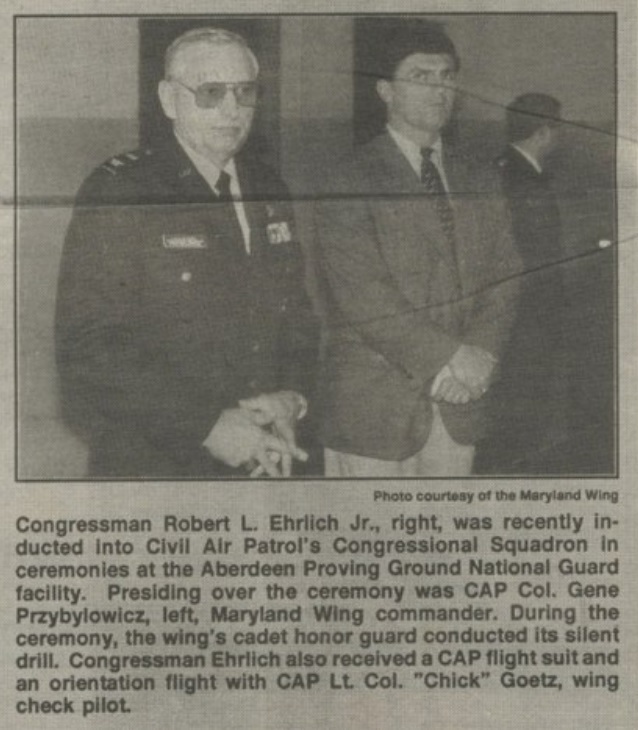 Civil Air Patrol’s Robert Ehrlich Jr was elected governor of Maryland in 2002, but lost his re-election in 2006 to Baltimore Mayor Martin O’Malley. He lost because his campaign hired a bus-load of unaware homeless men (mostly African American) from Philadelphia to hand out Ehrlich flyers at Baltimore polling places with red, black and green kente cloth design and images to falsely suggest that black leaders were endorsing Ehrlich and also Michael Steele. In reality, the leaders featured on those flyers had endorsed Ehrlich’s opponent. His wife Kendall actually fed them donuts and gave them a pep-talk. Fortunately, the plan failed when the leaders met with the press on Election Day to denounce the misleading use of their names and images on the sample ballots. After losing his re-election bid, Ehrlich endorsed Rudy Giuliani for US President in 2007 and this acquired Giuliani’s support for his retry in the 2010 Maryland Gubernatorial Election. Those calls reached 112,000 voters in majority-African American areas. After an investigation, Ehrlich’s campaign manager Paul Schurick was convicted of fraud and other charges. Ehrlich denied knowing about the calls, but how could that be possible given what his campaign attempted to do, with his wife’s help, in 2006? It may or may not matter to you, but Ehrlich endorsed Donald Trump for President in the 2016 election. 1 Comment on "Civil Air Patrol’s Bob Ehrlich Caught Twice"
I sent you a story on Connecticut Legislative Squadron member Major Mike McLachlan, former state senator. Hopefully you got it? All of them [CAP] trot their rank around like it actually means something, and I can’t help but laugh.